EMAS is a voluntary instrument of the European Union that helps companies and organizations of all sizes and industries to continuously improve their environmental performance. EACH is the European Chemicals Regulation for the Registration, Evaluation, Authorization and Restriction of Chemicals. TÜV Rheinland AG is an internationally active, independent test service provider based in Cologne. TÜV Rheinland is a technical testing organization in the fields of safety, efficiency and quality. Develops, produces and sells high-quality industry compounds for extrusion and injection moulding. In the segments HDPE – PS – ABS – PP we are one of the leading compound suppliers in Europe. Extensive experience and the latest technology serve to reach the quality standards demanded by our customers. Whether samples, special settings or assistance in finding solutions for technical applications or specified methods our qualified team will assist you as a partner to fulfil your requirements with fast and effective solutions to solve your problems. Our door is open for you. More than 50 years experience in the development and production of high-quality industry compounds of the following materials such as HDPE – extrusion for pipes, PS extrusion and injection, ABS for technical parts. – completely uniform and consistent compound granules are the norm for our entire product range. We supply products adapted to particular applications – close to the quality standards of prime materials. Give us a challenge. Our compounds are supplemented by commodities. Continual purchases of your offers are assured. Discounted payments are guaranteed. For better qualities, we pay higher prices – we can stand any competition. 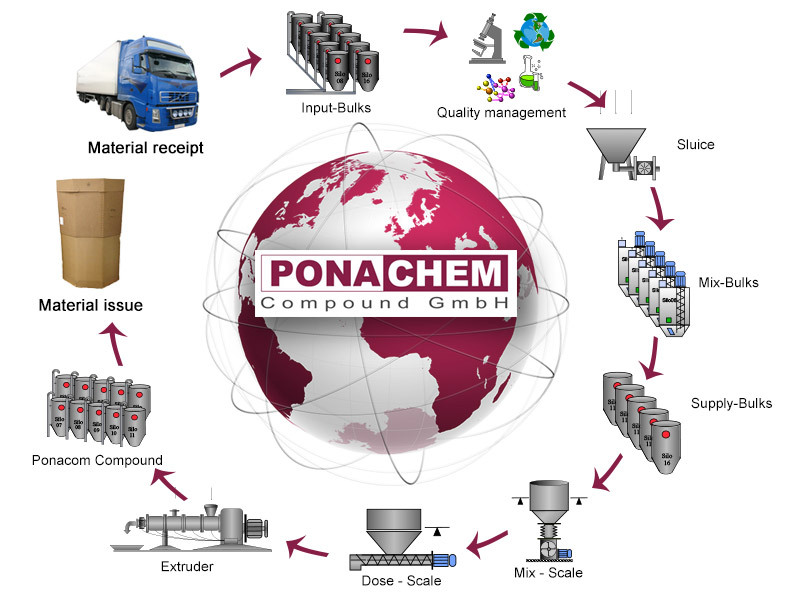 Develops, produces and sells high-quality industry compounds for extrusion and injection moulding.